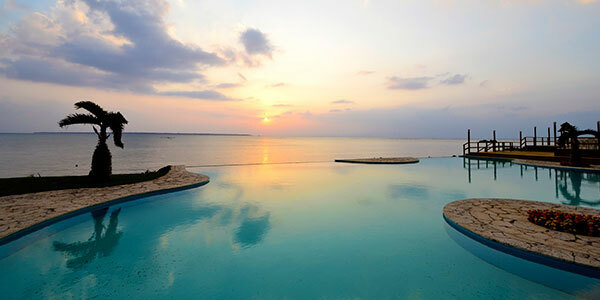 Okinawa's outer islands are home to some of the best beach destinations in the country, confirmed by TripAdviser's Travelers' Choice Awards 2014 for the top 10 beaches in Japan. Okinawa has some 60 islands of varying size, of which about 40 are inhabited. With each one of the outlying islands boasting its own traditions and culture, Okinawa offers as many attractions as its number of islands. Some of the islands have tourist facilities, while other don't even have signs in English and simply offer the opportunity to get in touch with unspoiled nature. In addition, there are many dialects spoken, almost one per island. Visitors can enjoy a variety of regional dishes on different islands, too. Ferry services are available within each island group, making it easier for visitors to explore Okinawa's fascinating outlying islands. The Miyako Islands are a group of islands, including Miyako, Ikema, Kurima, Irabu, Shimoji, Tarama, Minna and Ogami, situated about 300 kilometers southeast of mainland Okinawa. 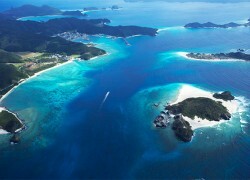 Located approximately 250 kilometers further southeast of Miyako are the Yaeyama Islands. Miyako Island, the main island of the chain, is connected by bridge to Ikema Island on its north side and with Kurima Island in the south. Miyako Island is the only island not inhabited by the venomous habu snake among the relatively large islands of the Ryukyus. 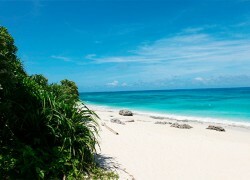 The Kerama Islands are located 30-40 kilometers north of Naha, the prefectural capital located on the island of Okinawa. The Kerama Islands include some 20 small and large islands, all of which are surrounded by coral reefs and unbelievably transparent seas. Only five of the islands are inhabited -- Tokashiki, Maejima, Zamami, Aka and Geruma -- while the others are deserted. Humpback whales migrate through the Keramas' waters every winter and can be seen on one of the local tours. There is a wide variety of minshuku and pensions on Tokashiki, Zamami and Aka. This is an ideal place for snorkeling as it is widely inhabited by sea turtles. Five to six ferries depart every day from Aka to Zamami. 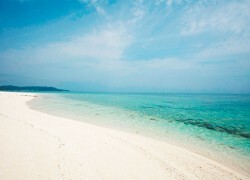 Once known as Kumi no Shima, literally meaning “jewel-like island of extraordinary beauty,” Kume Island is considered one of the most beautiful among the islands of the Ryukyu Archipelago. Kume Island prospered in trade with China during the time of the Ryukyu Kingdom. Due to the absence of any battles on the island during World War II, the island’s natural beauty and cultural heritage are relatively well preserved, with the entire island designated a prefectural nature park. In addition, an inland area of the island dotted with mountain streams and wetlands was designated for inclusion in the Ramsar List of Wetlands of International Importance in 2008.